Del Monte Philippines encourages employees to go home early to be with their families. From the small side streets to the country’s major highways, it’s almost a given nowadays for people to experience traffic - with a 30-minute ride turning into a nightmarish 2 hours, especially during the dreaded rush hours. Because of this, hard-working employees lose precious time. They get home too late for dinner. Worse, they would inevitably have less energy for family bonding. Consequently, family members seem to have less time to catch up on each other’s lives. Such is unfortunate because according to a study conducted by Debra Manchester MacMannis, the author of the renowned “How’s Your Family Really Doing?”, family dinners play an important part in the development of both children and teenagers because the presence of a parent is pivotal in building them up to be better individuals. 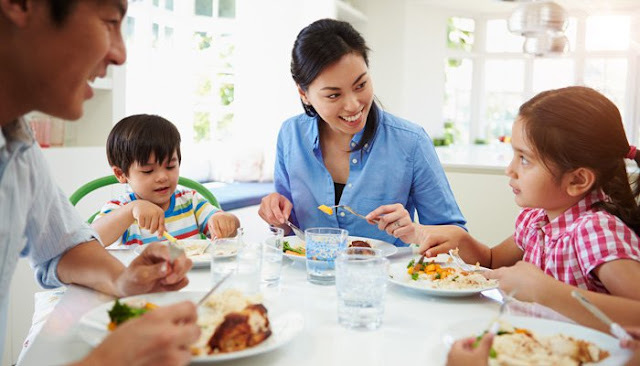 The study showed that sharing meals as a family have been found to give kids a boost in the classroom, improve language skills, increase communication, and overall promote better adjustment of kids.